A corrupt SD card is a digital photographer’s worst nightmare. All those amazing photos ruined because a few 1s and 0s are in the wrong place? While you might be able to recover your images from a corrupt card, you don’t want to be in this situation in the first place, and that means knowing how to format your SD cards properly. It also means you should be working with high-quality SD cards. Over on our sister site, ReviewGeek, we took a look at the best SD cards for your camera. Our pick, a 16GB SanDisk Extreme is just $11. There is no excuse not to be using the best. 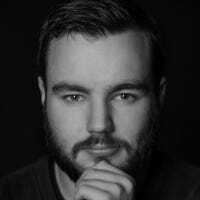 When your camera’s SD card is full, you’re probably tempted to pop it into your computer, delete a few photos from it, and then go back to shooting. Don’t do this! All the additional operations increase the chance of data getting corrupted. Deleting a few photos is a very slow way to get space back on a card. SD card performance degrades with use. Instead, you should format your SD cards when you run out of space (or whenever you want really). Formatting wipes the card clean and sets the Digital Camera Image (DCIM) folder structure up again. And it does all that without the downsides of just deleting things. I recommend you import your photos into Lightroom and then back them up to a cloud storage provider like Dropbox or Google Photos. This way you have your photos nicely organized and, even if something happens to your computer or your external drive, they are safe. Unless you shoot an incredible amount of RAW files, photos don’t take up that much space and cloud storage is super cheap. Once you’re sure that you have all the photos of your SD card and they’re fully backed up, it’s time to format the card. I’m going, to be honest here: what I’m recommending is, in part, a bit of received wisdom. There are other ways to format SD cards and (as long as you don’t try to change the format or add partitions or do anything else weird) they’ll work too. But the standard advice from most photographers and every camera manufacturer is that the best way to format an SD card is to do it with your camera to minimize the ways anything could go wrong. It’s also the quickest and most convenient way since you do not have to faff around with any additional software. So, with the caveat that modern operating systems are good and you can format an SD card however you like if you want to (and don’t do anything other than format it), our advice is still to stick with the manufacturer recommendations and do it with the camera. The process varies a bit from camera to camera, but in general, it should be something like this. 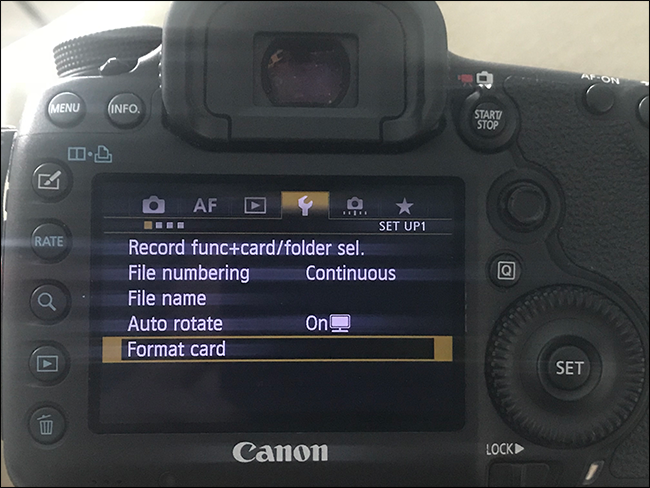 With a Canon camera, go to Menu > Setup > Format Card. Select the card you want to format and then OK. Your camera will take a few moments, and then you’ll have a fresh SD card ready to go. With a Nikon camera, go to Menu > Setup > Format Memory Card. Select the card you want to format and then OK. After a few moments, you’ll have a formatted SD card. If for any reason you’re struggling to find the format card option, check out your camera’s user manual. The chance of something going wrong with your SD cards is pretty slim, but it can and does happen. Properly formatting your cards—and using high-quality ones to begin with—is the best way to prevent it from happening.